My name is Oliver Barry and I am one of the attorneys at the office of Barry, Corrado, Grassi & Gillin-Schwartz, P.C. This is a story about my father, Stephen Barry, who is one of the founding partners of the firm. But this is not really a story about lawyers or the law. When people think about lawyers, a variety of images come to mind. People might imagine suits, ties, briefcases, shiny shoes. Maybe some less savory images depending on the person. What they probably would not imagine was a knack for gardening. Founding Partner Stephen Barry, Esq. Over the course of his career, my father has handled complex business disputes, serious personal injury and death cases, and admiralty and commercial fishing matters beyond count. But I can tell you that one of his favorite things has nothing to do with the practice of law. Every summer, he goes to the trouble of transforming his property into a field of sunflowers that the whole community can enjoy. He welcomes passersby to stop and wander through the property and enjoy the view. Over the last few years, the Barry family’s property has become a popular tourist destination in late July through early August. Locals and visitors alike wander the property. People have even begun to use the scenery as a backdrop for professional photography. My father does not charge anyone for touring the property or for using it for photo shoots. Why does he go to the trouble of planting and caring for the flowers each summer? He responds because it is something beautiful and simple that people can enjoy. 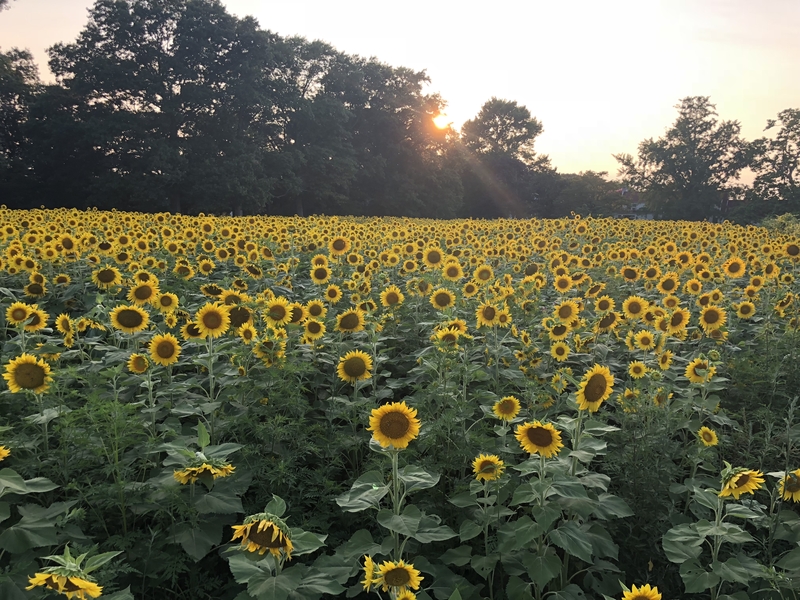 So if you should find yourself traveling along Route 47 in Cape May County and happen across acres of sunflowers, please feel free to stop by and explore. Because life is too short not to stop and smell the flowers sometimes.